Shopping for Star Wars Ice Cube Trays? These are definitely the droids you are looking for! Make your drinks as cold as Hoth with this super cool Star Wars ice cube tray! This malleable and easy-clean silicone tray can be used to make more than just ice; make Jell-O, chocolate, pudding...the list continues just like the Star Wars saga. 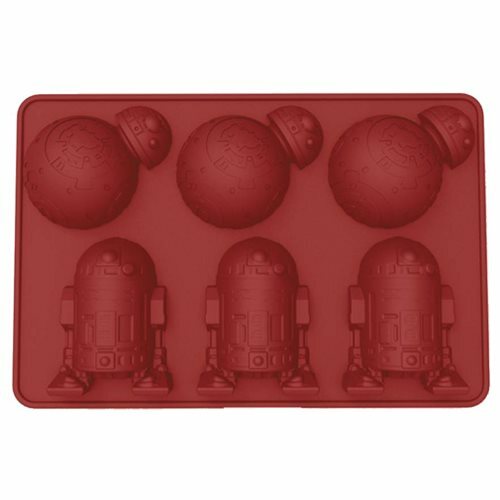 The Star Wars R2-D2 and BB-8 Ice Cube Tray measures 5 1/2-inches x 8 1/4-inches x 1-inch.